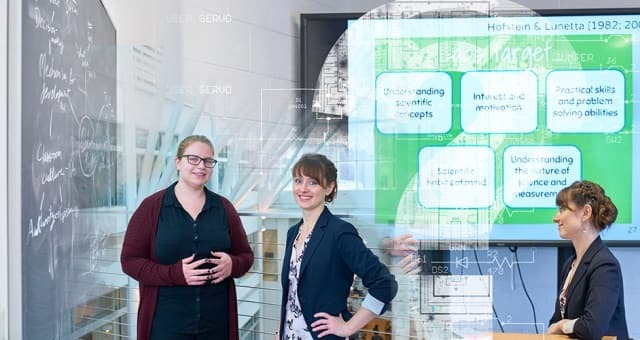 WiP+ is an informal group of women (primarily) supporting other women in the fields of Physics, Astronomy, Applied and Engineering Physics, Biophysics, and other related fields. Everyone, ranging from prospective majors through faculty and staff, is invited to participate. 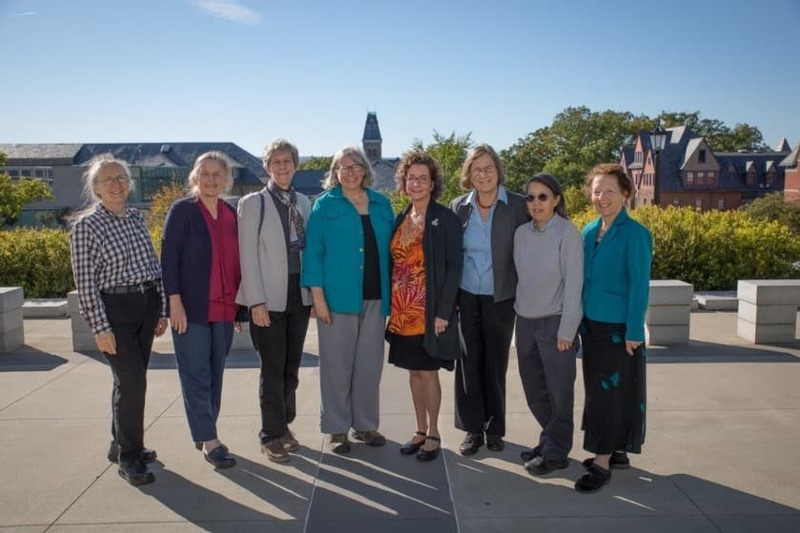 This is the current incarnation of the first women in physics group that was started here at Cornell in the fall of 1976. The first woman faculty member to be hired in College of Arts and Sciences was Martha Stahr Carpenter in 1947 as a radio astronomer in the Astronomy department. 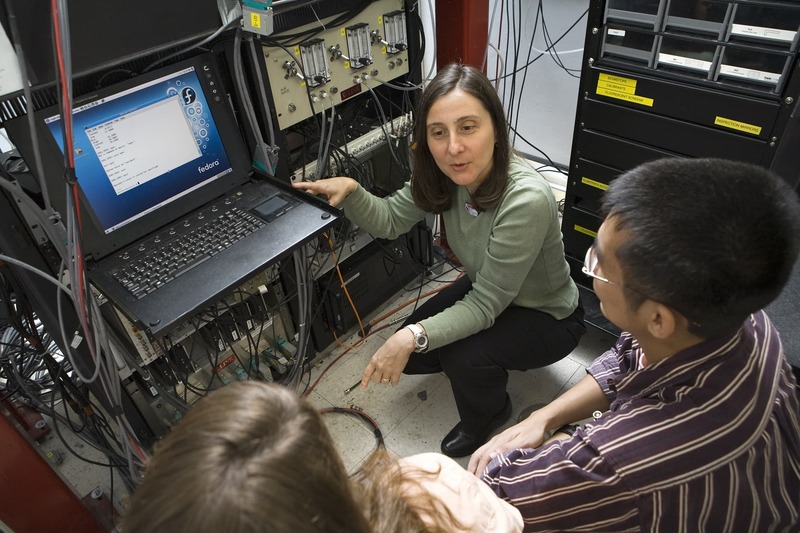 Lois Pollack became first woman director of Applied and Engineering Physics in 2014. 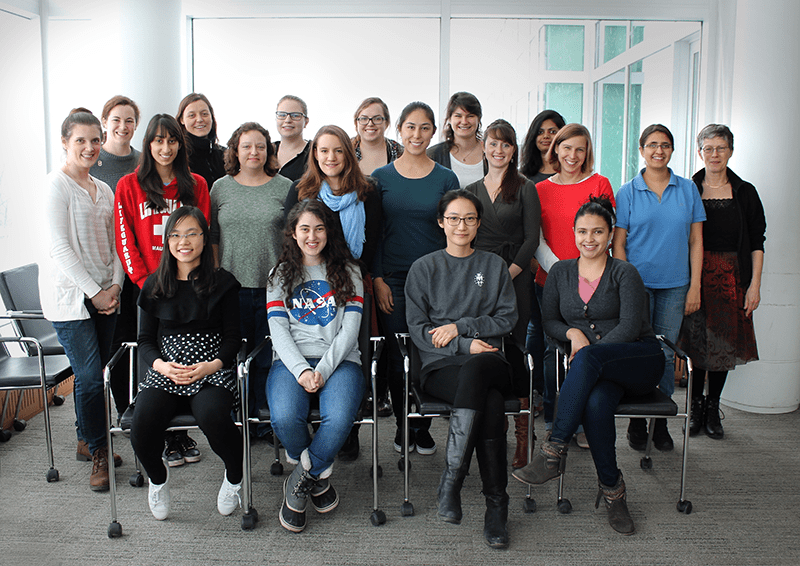 Some of fabulous women of physics and related fields at a WiP+ lunch. 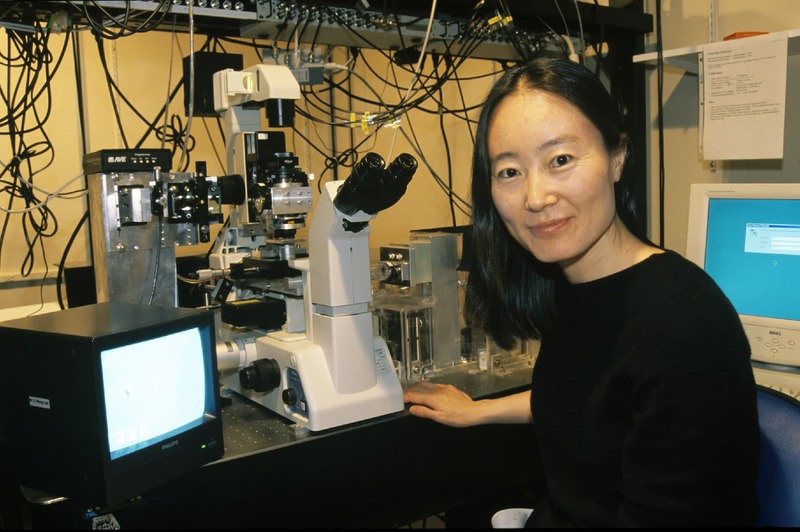 Browse through our gallery to see more Cornell Women of Physics and Related Fields. 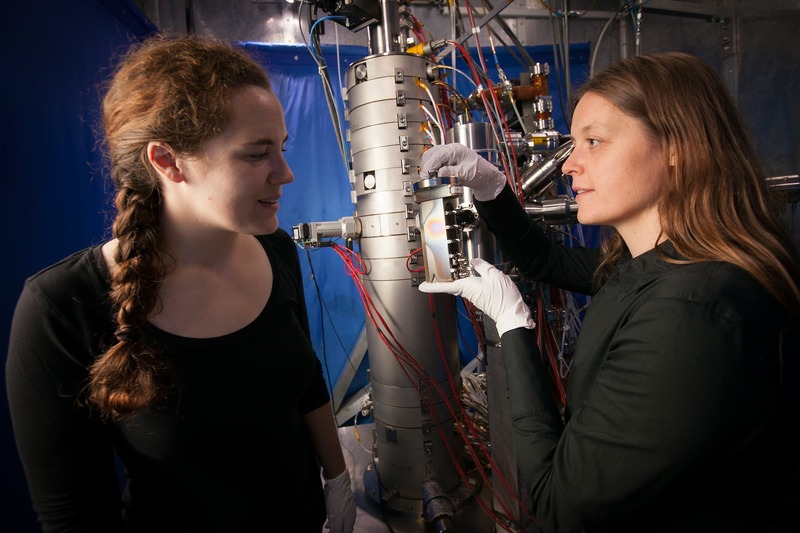 Assistant professor Natasha Holmes with physics graduate student Katherine Quinn. Lena Kourkoutis, assistant professor of applied and engineering physics (AEP), works in the lab with graduate student Katie Spoth. Eun-Ah Kim, assistant professor of physics, with her graduate students. 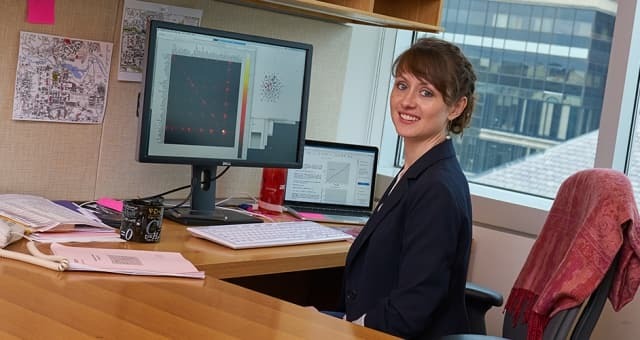 Assistant professor of physics, Natasha Holmes, studies teaching and learning in physics and other fields. 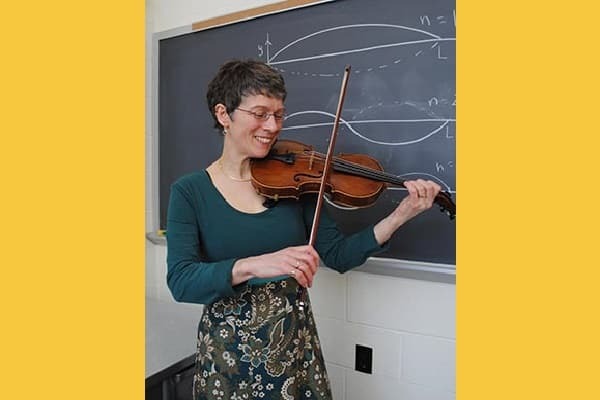 Senior Lecturer Kathy Selby teaching Physics of Musical Sound. 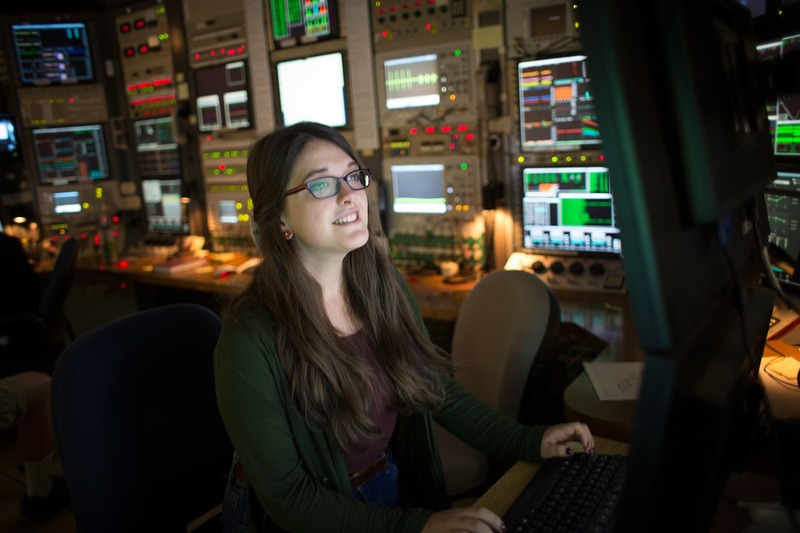 Physics graduate student Kathryn McGill in the lab. 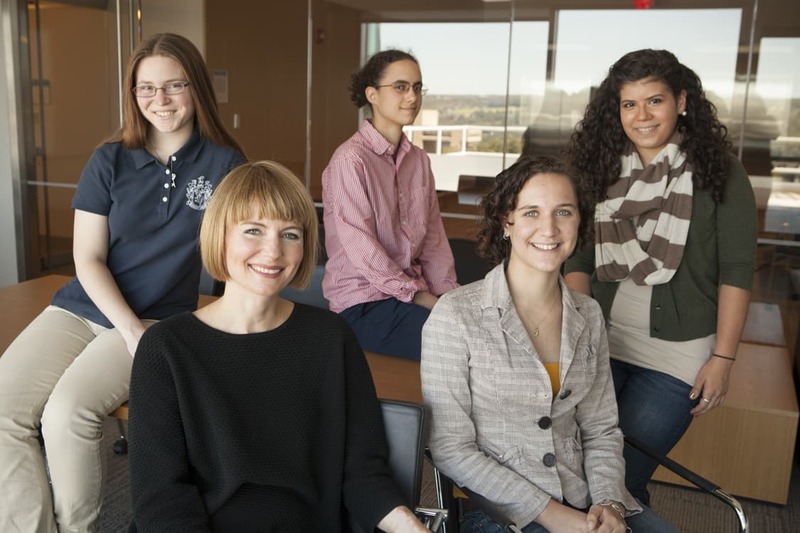 Assistant professor Katja Nowack with members of her group. 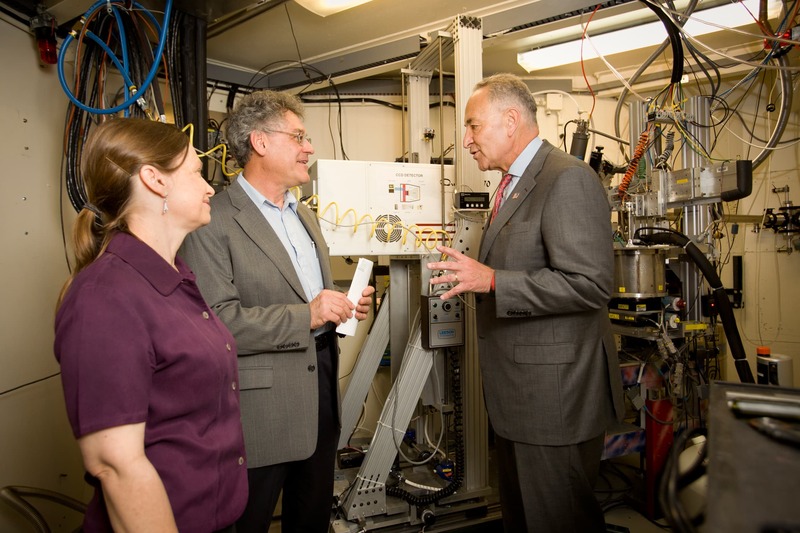 Ritchie Patterson director of Cornell Laboratory for Accelerator-Based Sciences and Education (CLASSE) and the Center for Bright Beams, and professor Sol Gruner lead U.S. Sen. Charles Schumer on a tour of the CHESS facility, along with members of the media. 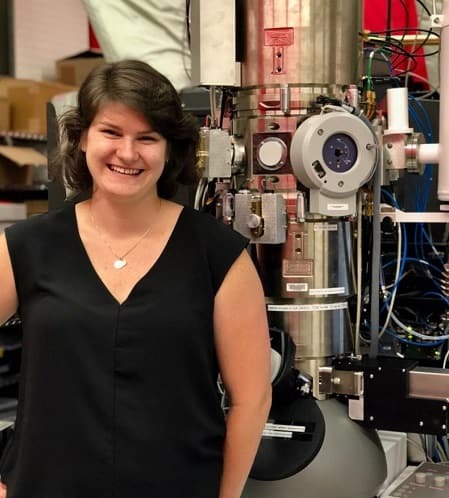 Naomi Gendler, a visiting continuing education student in physics and participant in the CLASSE Research Experience for Undergraduates (REU) program, works at her station in the Wilson Synchrotron Laboratory. Rachel Bean, professor of Astronomy, looking across campus from the top of the Space Sciences building. 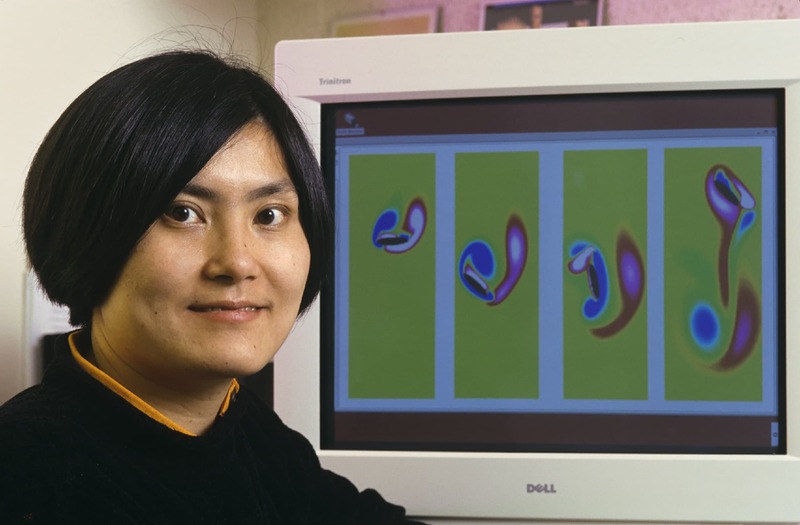 Professor Jane Wang looks at the physics of insect flight. 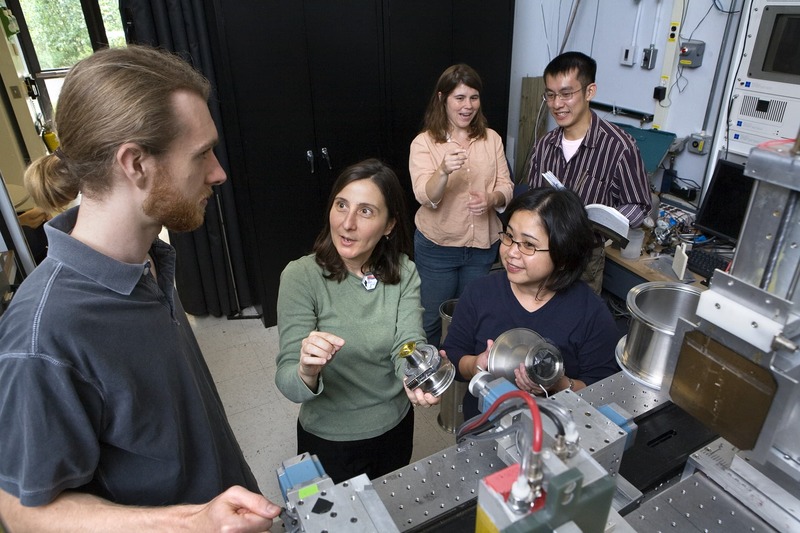 Professor and Director of Applied and Engineering Physics, Lois Pollack, with some students. 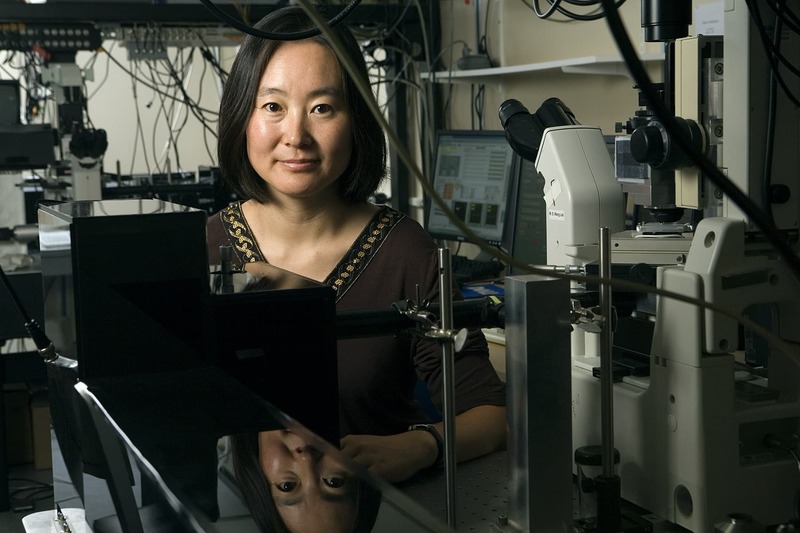 Physics professor Michelle Wang in her lab. 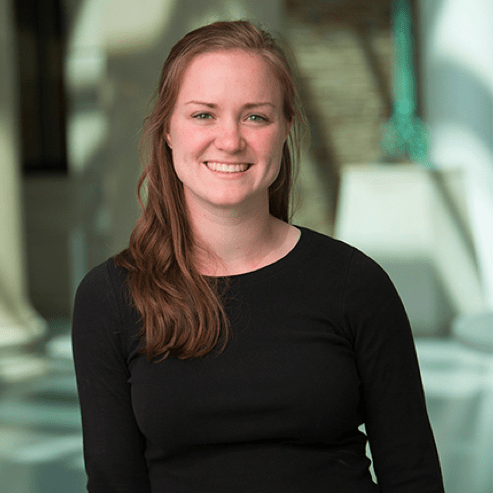 Physics graduate student Kathryn McGill has developed her interest in scientific outreach into her YouTube channel: The Physics Factor. Natasha Holmes busy at her desk. 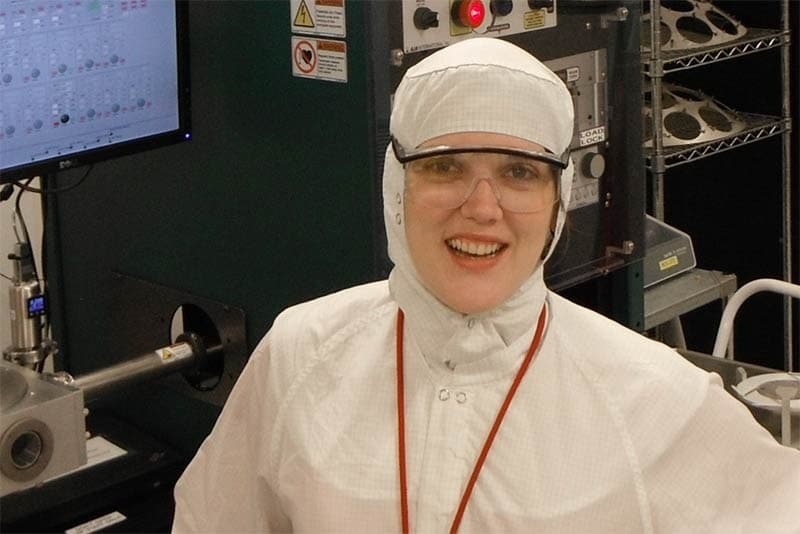 Professor and Director of Applied and Engineering Physics, Lois Pollack, in the lab. 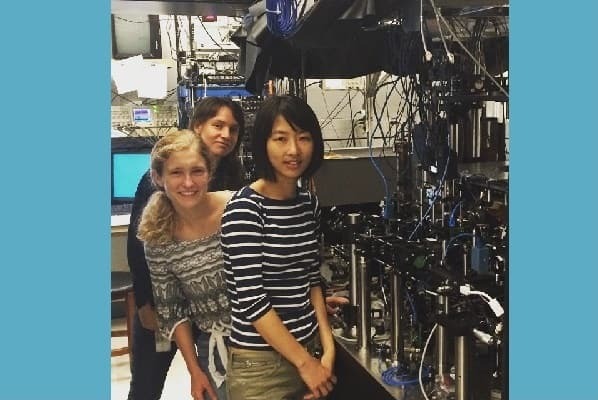 Lauren Aycock (PhD, Physics 2017) with labmates Hsin-I Lu and Dina Genkina in the Laser Cooling Group lab of Ian Spielman at NIST Gaithersburg, part of the JQI. Lauren has been awarded a Congressional Science Fellowship from the American Physical Society. Read more here. 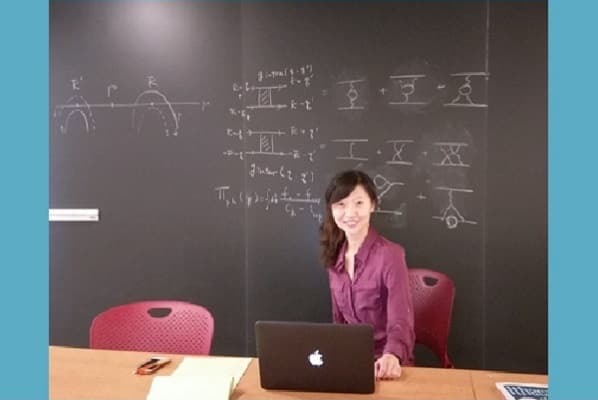 Yi-Ting Hsu (PhD, Physics 2017) was a member in Kim's research group working on topological phases and superconductivity. 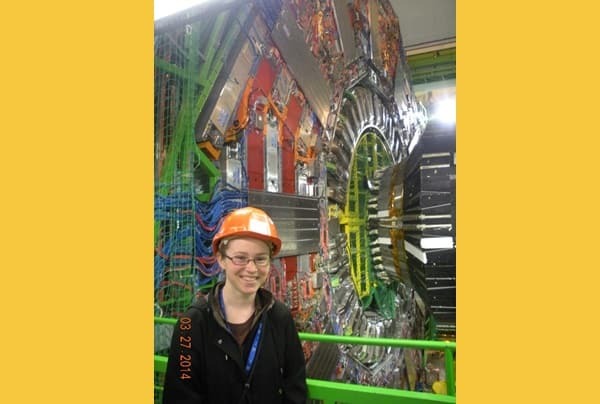 Susan Dittmer (PhD, Physics 2017) standing in front of the CMS detector at the CERN LHC. "I hadn't actually seen the detector before this photo was taken -- my research involves more data analysis / control room operations than hands-on work -- so it was exciting to see the full apparatus for the first time." 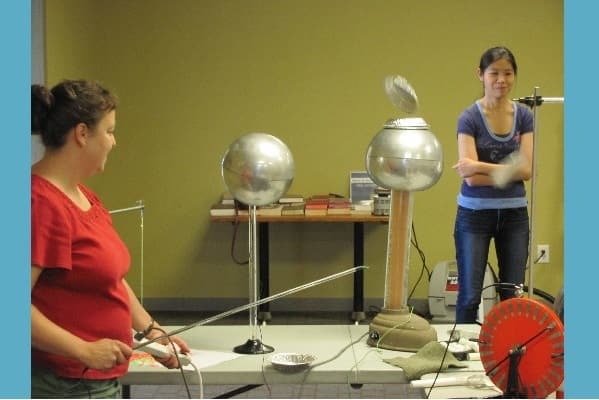 Lecture Demostration manager Jenny Wurster and AEP graduate student Alice Huang entertain children at IC3 summer camp during "Mad Scientist" Week 2016. 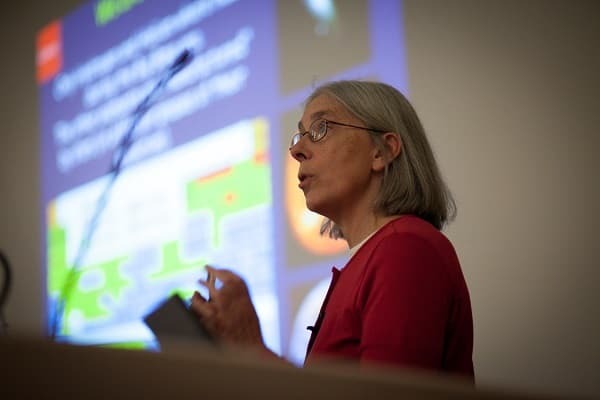 Martha Haynes, professor of astronomy, speaks on "Our Cosmic History and a New View of Our Origins" at Reunion 2013. Founding and early members of the first Women in Physics group at Cornell at the 40th Anniversary All Class Reunion: Anne Young, Kathy Krafft, Ursula Gibson, Patti Sparks, Laura Greene, Edith Cassel, Lydia Young, Marilyn Schneider. Hear more about their story from Kathy Krafft. "She made the discovery, but a man got the Nobel. A half-century later, she’s won a $3 million prize." The Washington Post. 9/8/2018. 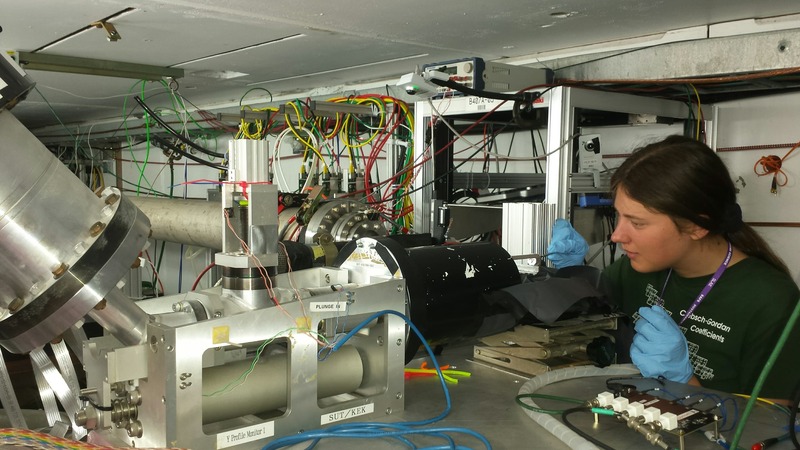 "Three major physics discoveries and counting." Quanta Magazine. 7/18/18. "Dark Matter Pioneer, Rubin ’51, Dies at 88." The Cornell Daily Sun. 12/28/16. 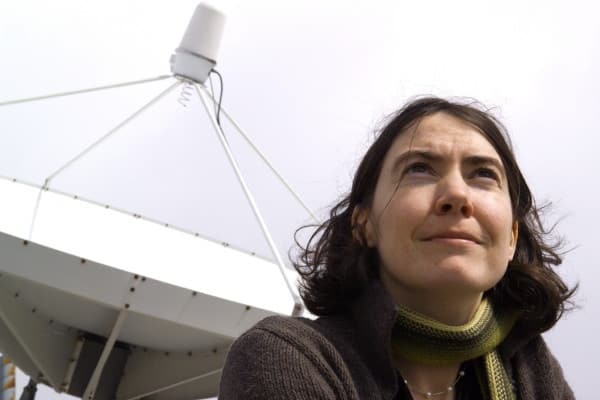 "The Bright Face Behind the Dark Side of Galaxies." Science. 2.8.02. 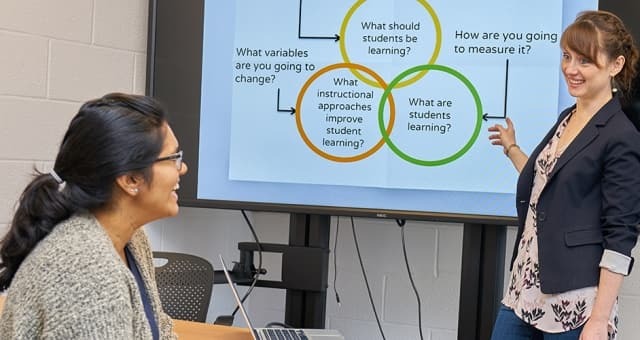 When Berit Goodge came to Cornell to earn her Ph.D. in the School of Applied and Engineering Physics (AEP), she was simply following the roadmap she’d laid out in 4th grade. “I was a pretty precocious child,” says Goodge. “Both of my parents are academics so I knew what grad school was before I really knew what high school was. 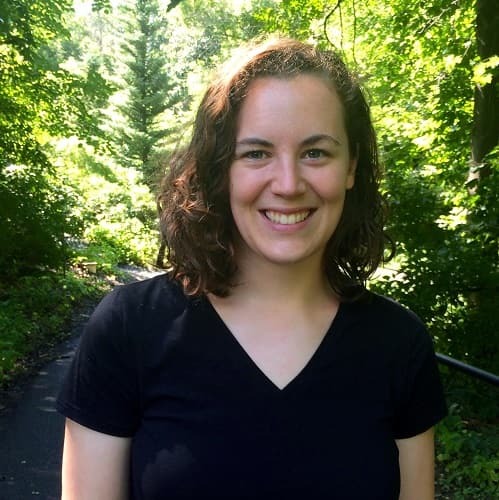 I came home one day from 4th grade and announced that I would be going to Carleton College and then on to grad school for my Ph.D.” Read more of her story here. Cari Cesarotti: "I am walking away from Cornell with a call to action to do my part in ending injustices." Learn more about Cari Cesarotti. 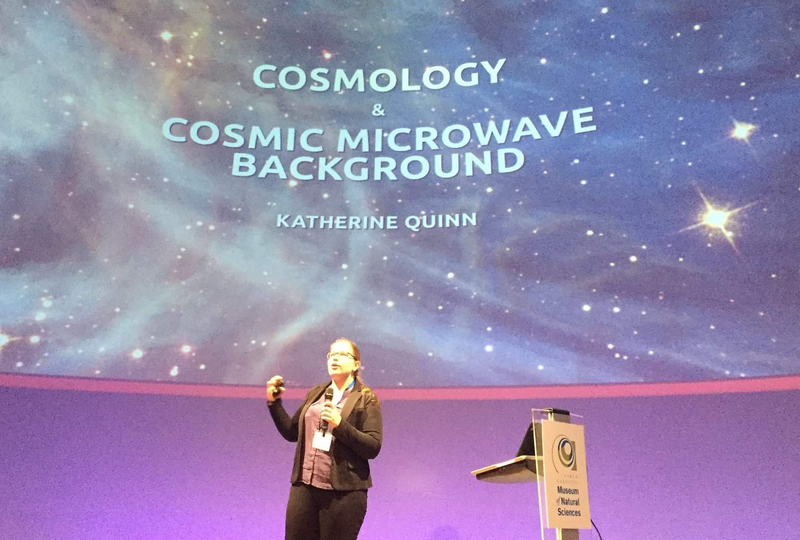 AEP student Megan Holtz says "I liked physics – understanding the fundamentals behind how the universe works – and I also wanted to do something applicable that would make a difference in the world. I was concerned about global warming and so I became interested in renewable energy, which is in part an engineering problem." Read more about Megan here. 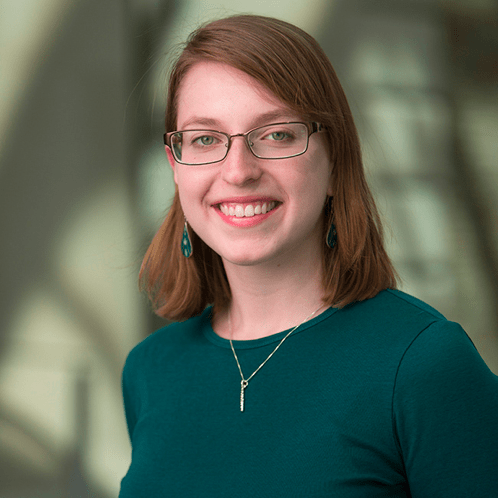 Sarah Marie Bruno '16 says research in the labs of Professors Carl Franck and Michael Niemack was the "highlight of my experience as a physics major at Cornell. For the first time, you are trying to answer a question to which no one yet knows the answer! This is exciting!" Click here to read more about Sarah's experiences. 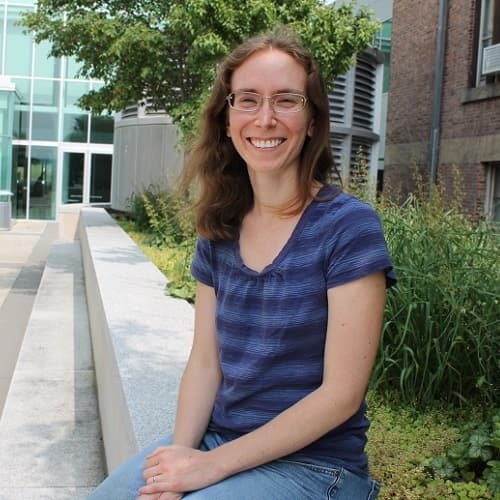 Katherine Spoth says "I participated in the CHESS REU at Cornell during one summer of my undergrad - both my first experience with experimental research and my first visit to Cornell! 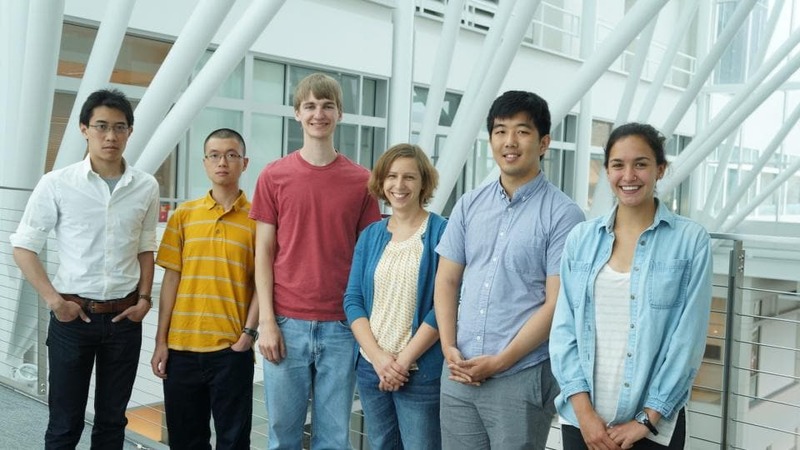 I came to AEP for my PhD because I wanted to come back to Cornell after my REU experience, and the research in the department really appealed to me." Read more about Katherine here.